The First School Society manages the care of both Palisado Cemetery and Riverside Cemetery including landscaping and roadways. Although perpetual care of gravesites is not included in any grave sales, The First School Society makes every effort to care for grave markers and a landscaped setting that respects the deceased and their families. 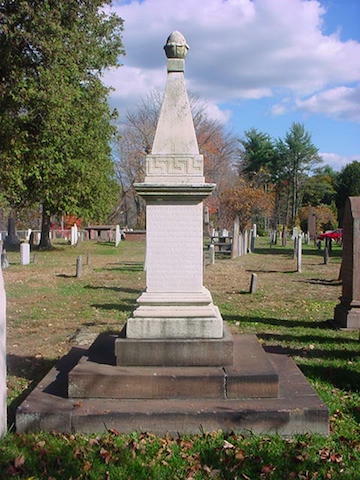 Genealogists and family historians may inquire with the librarian at the Windsor Historical Society (info@windsorhistoricalsociety.org or 860/688-3813) for assistance on the location and inscriptions on grave markers. Located at 69 Palisado Avenue (Rt. 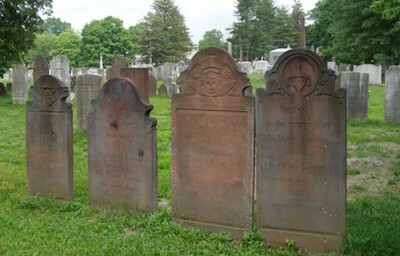 159 north of the Farmington River bridge) , this cemetery has sold all its gravesites but visitors are welcome. 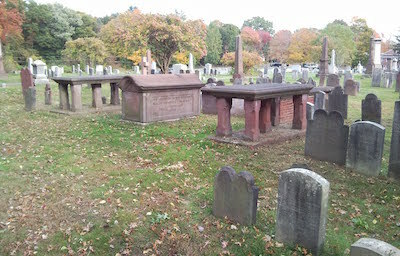 It contains one of Connecticut’s oldest surviving gravestones, Ephraim Huit 1644. The southwest quadrant contains several 17th century stones and numerous 18th century stones made mostly of locally quarried sandstone. Due to their age and frailty, efforts have been made over the centuries to preserve them. Please read our Guidelines to help with the preservation of this outdoor museum. Located at 102 East Street (parallel to Rt. 75), this cemetery was established in 1894 and contains the graves of Civil War veterans, 20th st century paupers from the Town Farm or Poor Farm that bordered this cemetery, as well as recent interments. In 2014 First School Society commenced planning for upgrades to this cemetery including landscaping, roadways, a memorial garden and more. 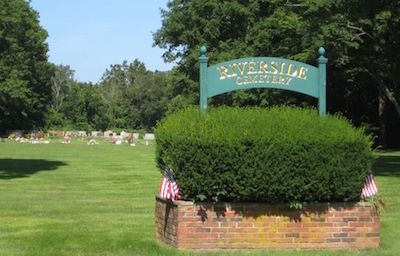 If you wish to buy a gravesite at Riverside Cemetery, please call Carmonn Community Funeral Home at 860-688-2200. All are welcome. More Information about the First School Society, Inc.
To search cemeteries by the name of the deseased, please use Find a Grave. If you are interested in buying a gravesite, please contact Carmon Community Funeral Homes at 807 Bloomfield Avenue, Windsor, CT 06095 or 860/688-2200. The First School Society manages the care of both Palisado Cemetery and Riverside Cemetery including landscaping and roadways. If you are interested in buying a graves ite, please contact Carmon Community Funeral Homes at 807 Bloomfield Avenue, Windsor, CT 06095 or 860/688-2200. Genealogists and family historians may find specific graves by visiting the website “Find A Grave - Riverside”, "Find A Grave - Palisado", or make inquiries to the Librarian at the Windsor Historical Society (info@WindsorHistoricalSociety.org) or 860/688-3813 for the locations of early graves or call Carmon Community Funeral Home (860/688-2200) for more recent burials. © 2015 Owned and Operated by The First School Society (FSS) Designed by HostingCT, LLC.